LFC Vancouver had very humble origins when it was started back around 2001. In the early 2000s, it wasn’t even an official supporters club; it was just a small group of like-minded Reds supporters getting together to watch the occasional match. They didn’t watch the games live and there was no fixed venue, they would meet anywhere in the lower mainland that they could. In 2006, Ste Speed met up with these few guys and took it upon himself to help make the group an official supporters club with memberships and an official home venue to watch the games. We started with 12 members meeting every week to watch the games on a recording. As the season went on we attracted a few more members as word got out about our club thanks in a large part to the website which was run by Paul Gill and Andy Neumann. In 2007, Ste and former executive member Keith Perkins negotiated a deal to move the club to a new venue in which we could watch every game live, in addition to this we stepped up our marketing including getting a mention in The Province newspaper. This led to us having over 150 paid members for the 2007-08 season. Since then the club has flourished, becoming the biggest football supporters club in BC (outside of The Whitecaps), even fielding a side in an indoor league for three seasons. 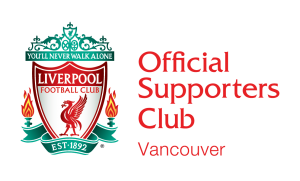 2013 saw the club move again to our current home, and the formation of the LFC Vancouver Executive Committee, which is now working very hard to continue the great work done by those that started the club back in the day.